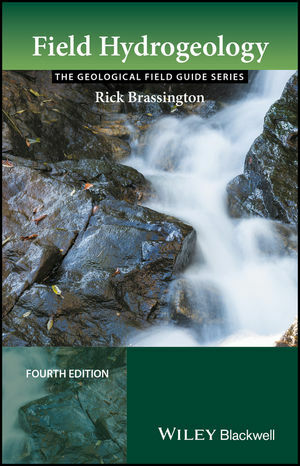 The fourth edition of this bestselling textbook has been fully revised in order to present the most up-to-date and comprehensive guide to completing a hydrogeological study. Beautifully presented with full colour photos and diagrams throughout, Field Hydrogeology retains its practical pocket size for easy use in the field. This new edition includes all the recent developments in the environmental regulations, with particular focus on the use of innovative technology. New topics include geothermal energy, soakaways, marrying manual water level readings with logger records, prediction of long-term drawdown and lateral extent of impacts, and flow measurement in locations with small head gradients. With case studies and text boxes to aid comprehension, and a particular emphasis on practical application, this is an essential tool for students taking Hydrogeology and/or field course modules in Geology, Earth Sciences, Hydrogeology and Engineering courses. He worked in the UK public water industry for some 24 years before moving into consultancy. He was employed at director level in three major companies before setting up his own consultancy in 1998. He has also been the Visiting Professor of Hydrogeology in the School of Civil Engineering and Geosciences at Newcastle University since 2007.